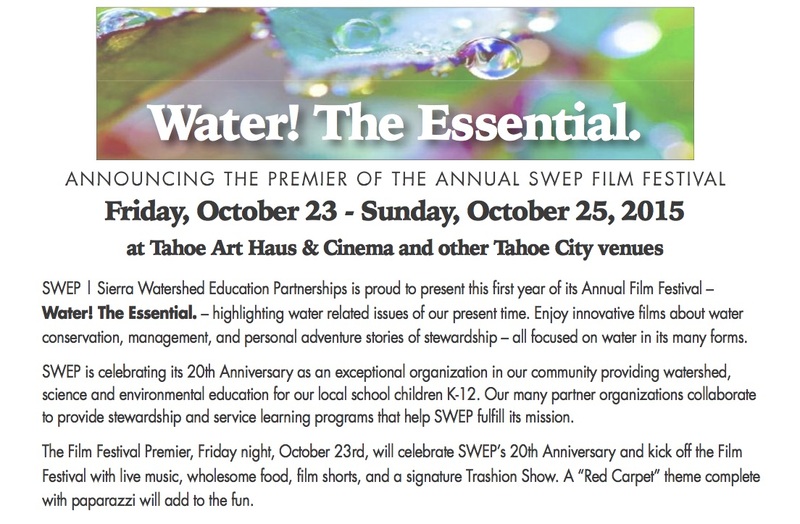 SWEP will be accepting applications for the Tahoe Basin Watershed Education Summit from now through Friday, September 18th. Click here to learn more. 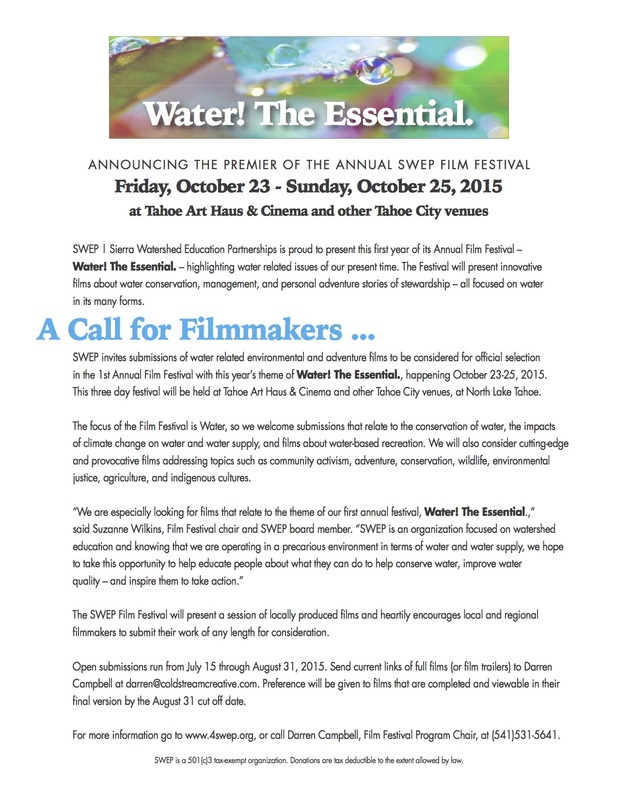 For more information go to http://www.4swep.org, or call Suzanne Wilkins, Film Festival Committee Chair at 530-545-2563. 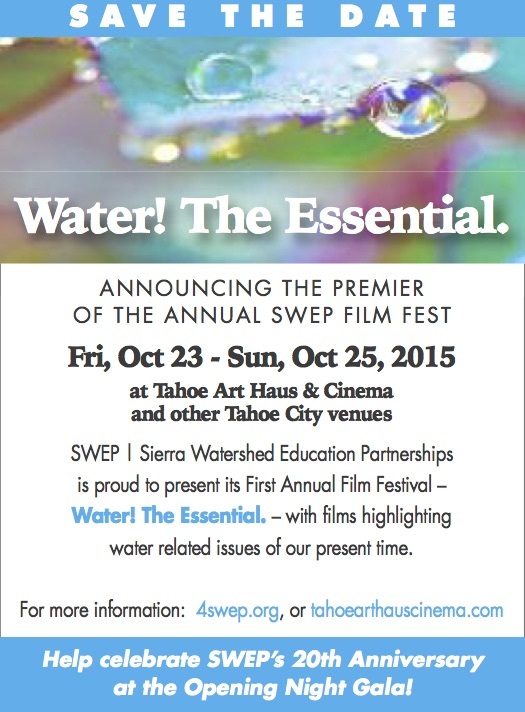 Would you like to be a SWEP FilmFest sponsor? SWEP is a 501(c)3 tax-exempt organization. Donations are tax deductible to the extent allowed by law.